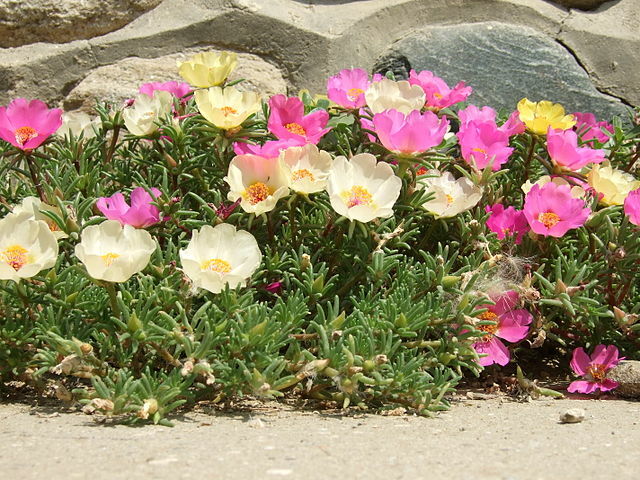 Portulaca or Moss Rose is a great plant for northern New Mexico because it can flourish in hot, dry, full-sun locations and look good doing it. 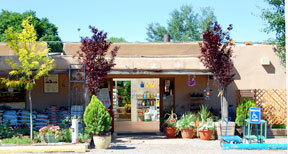 They are best used in landscaping, but can also be pretty when combined with other flowers in hanging baskets and pots. They grow vigorously, especially when planted in fertile, well-drained soil and watered when the topsoil feels dry — they are drought tolerant once established. They are low maintenance, but regular fertilizing is necessary to keep them blooming. Keep in mind that portulaca flowers are pretty and perky during the day, but they will close at night and on very cloudy days. Distinguishing Characteristics: High-impact plants with minimal maintenance.